The 2016 Paul Lawrie Match Play event golf tournament on the European Tour is taking place this week from August 4-7, 2016, at the Archerfield Links Golf Club located in East Lothian, Scotland. Here is a list of the prize money up for grabs for the European Tour players to win at the 2016 British Open. 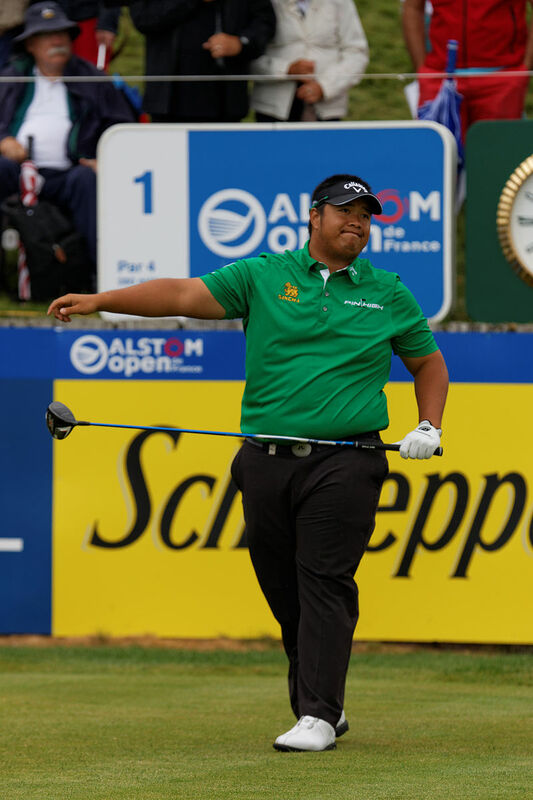 The Paul Lawrie Match Play event was first held last year when Kiradech Aphibarnrat won the tournament. This event features 64 players in a single-elimination match play tournament. American Chase Koepka, the younger brother of PGA Tour pro Brooks Koepka, is playing in this event with a sponsor exemption. The total prize money up for grabs at the 2016 Paul Lawrie Match Play event is $1.334 million. All prize money for the 2016 Paul Lawrie Match Play event has been converted from British Pounds to American dollars at the current exchange rate of 1.33. The prize money is the same as last year in Pounds but not dollars due to currency fluctuations. The winner of the 2016 Paul Lawrie Match Play event will earn $227,982. As mentioned above, Kiradech Aphibarnrat from Thailand was the winner last year when this event was played for the first time. Second place at the 2016 Paul Lawrie Match Play event is worth $155,321. Robert Karlsson from Sweden finished in second place in this European Tour golf tournament last year. Third place is worth $89993 at the 2016 Paul Lawrie Match Play event. David Howell from England finished in third place in this event last year. Fourth place at the 2016 Paul Lawrie Match Play event is worth $73,327. Marc Warren from Scotland finished in fourth place last year.